^ City Flower. City of Portland Auditor's Office - City Recorder Division. ^ a b Stern, Henry (June 19, 2003). "Name comes up roses for P-town: City Council sees no thorns in picking ‘City of Roses’ as Portland's moniker". The Oregonian. ^ Hagestedt, Andre (2009年4月7日). “The Missing Oregon Coast: Waves After Dark”. http://www.beachconnection.net/news/missin040709_147.php 2009年4月30日閲覧. "I’m used to seeing that hint of dawn back in P-town, with my wretched habit of playing video games until 6 a.m"
^ Orloff, Chet (2004). “Maintaining Eden: John Charles Olmsted and the Portland Park System”. Yearbook of the Association of Pacific Coast Geographers 66: 114–119. doi:10.1353/pcg.2004.0006. ^ Gibson, Campbell (June 1998). Population of the 100 Largest Cities and Other Urban Places in the United States: 1790 to 1990. U.S. Bureau of the Census - Population Division. ^ Loy, William G.; Stuart Allan, Aileen R. Buckley, James E. Meecham (2001). Atlas of Oregon. University of Oregon Press. pp. 32–33. ISBN 0-87114-102-7. ^ Kottek, M.; J. Grieser, C. Beck, B. Rudolf, and F. Rubel (2006). “World Map of the Köppen-Geiger climate classification updated”. Meteorol. Z. 15: 259–263. doi:10.1127/0941-2948/2006/0130. http://koeppen-geiger.vu-wien.ac.at/pics/kottek_et_al_2006.gif 2007年2月15日閲覧。. ^ a b c MacColl, E. Kimbark (1979) . The Growth of a City: Power and Politics in Portland, Oregon 1915-1950. Portland, Oregon: The Georgian Press. ISBN 0-9603408-1-5. ^ 'Youth Magnet' Cities Hit Midlife Crisis The Wall Street Journal. Retrieved on 2009-06-14. ^ Statewide Planning Goals. 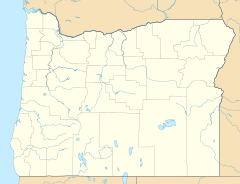 Oregon Department of Land Conservation and Development. Retrieved December 23, 2007. ^ About the Sister City Program Archived 2009年6月16日, at the Wayback Machine. MacGibbon, Elma (1904). Leaves of knowledge. Shaw & Borden Co. Elma MacGibbons reminiscences of her travels in the United States starting in 1898, which were mainly in Oregon and Washington. 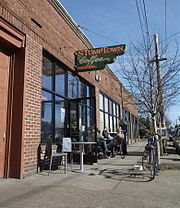 Includes chapter "Portland, the western hub." O'Toole, Randal. 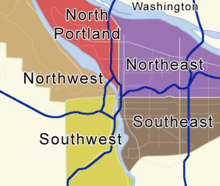 Debunking Portland: The City That Doesn't Work. Policy Analysis. No. 596. Cato Institute, July 9, 2007.